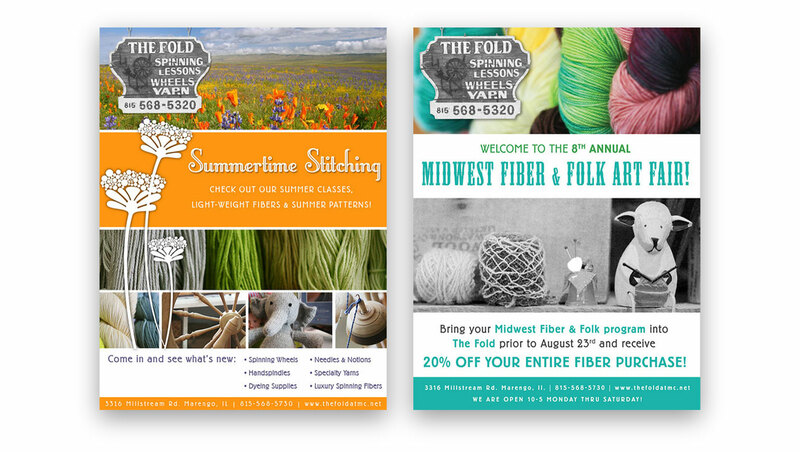 If you are a knitter or spinner anywhere in central Illinois, chances are, you know about The Fold. 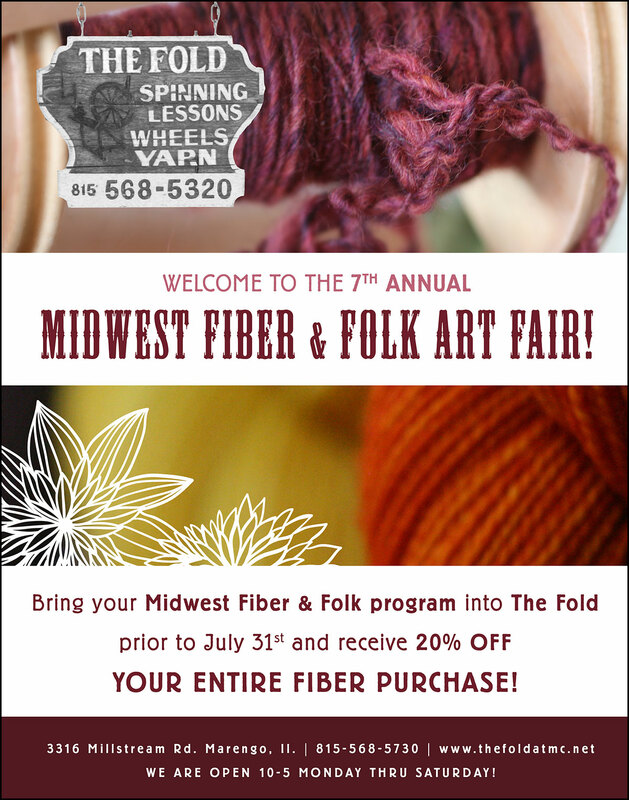 Located in Toni Neil’s home in rural Marengo, IL, this knit shop is packed full of the loveliest knitting and spinning fiber and staffed with the friendliest (and most knowledgable) fiber enthusiasts you will ever meet! 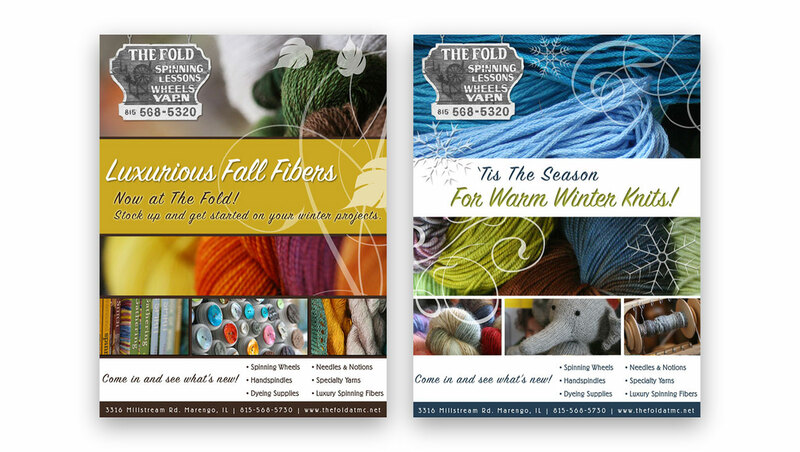 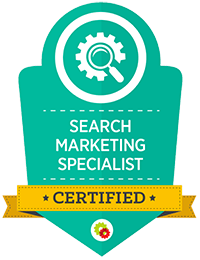 Tara, our founder, is a knitting fool and was naturally approached by Toni to help with custom photography and ongoing ad design for various fiber magazines and publications.